How do I create a winback series email journey? 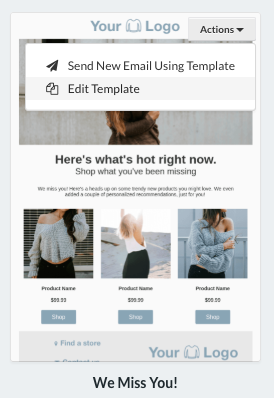 Now that you have your winback series template(s), you're ready to set up your email journey. You're finished! Your subscribers will receive an email or series of emails from you when they have not purchased or opened any of your emails in awhile. Need some tips? Read more about how to create an engaging winback series in our blog.